A new sofa is a big investment and so it is essential to make the right decision. To help you choose from the vast range of styles available from Russkell Furniture, the lovely Tilly has put together her top ten tips on choosing the perfect piece of luxury furniture to complement your home. 1 - Plan the space. The size of the new sofa is crucial in creating the perfect look. While using a tape measure to gauge to various dimensions gives a vague idea, it is better to be more thorough in planning. Use electrical tape to accurately mark out the length and width of your chosen model, checking to see there is enough room to move around it and that it looks comfortable in the space. Sofas with low or lacking arms are perfect for smaller spaces, making their proportions appear roomier. 2 - Contrast or complement? 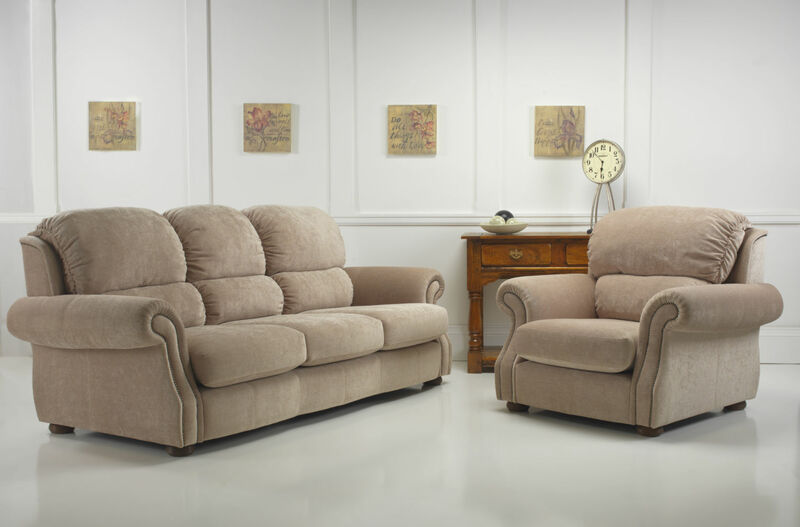 If your new sofa will be joining existing furniture, it is essential to make sure the balance is correct. Neutral fabrics will work well with most furniture though if the décor is particularly plain then a softly-patterned design may be preferable. When creating a new aesthetic from scratch, natural factors such as the amount of daylight the room will receive and the type of activity it will be used for should be taken into consideration; the only limit here is your imagination. 3 - Buy the best. A good sofa will last for many years and, as such an important investment, should be chosen with this in mind. Buying the best sofa you can afford within your budget is recommended, particularly if it will be used often. 4 - Traditional or contemporary? Getting the right look is important to create a balanced, welcoming aesthetic. For more traditional interiors, sofas with contoured backs, rolled arms, tufted cushions and skirting are perfect while contemporary spaces will look better with furniture featuring clean lines, minimal flourishes and understated, subtle upholstery. 5 - Like to stretch out? If you often use the sofa for lying down to read, watch television or take a nap, consider the amount of space between each arm. Relying on overall length in this situation is not adequate as the arms will affect the usable space between them. 6 - Choose the right depth. Maximum comfort is achieved when the sofa offers optimum seat depth. 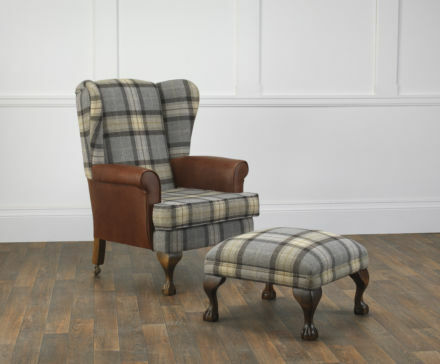 Find a sofa or armchair in which you feel particularly comfortable then measure the total distance from where your lower back meets the furniture to the inside of your knee. A sofa with similar dimensions will offer the perfect sitting experience. 7 - Dedicated follower of fashion? If you want to make sure your sofa stays fashionable for a long time, it is best to choose a neutral fabric that can be enhanced with the creative use of throws and cushions. Feel free to go wild with a big, trendy statement piece however, as Russkell Furniture provide a full re-upholstery service to allow your luxury furniture infinite reinventions. The inevitable spills and other accidents caused by children mean that, for parents, a sofa in a colour such as white or ivory is not an option! Sofas intended for such heavy-duty usage are best supplied with a dark colour and a subtle pattern. 9 - Request a swatch. While the photographs on our website offer HD images of our fabrics, it is impossible to gauge exactly how they will look in their intended space. To make sure you can experience the quality of our fabrics before deciding to purchase, Russkell Furniture are delighted to supply samples. 10 - Share your experience! We would love to receive photographs of your luxury Russkell Furniture in situ. With the amount of devotion, dedication and craftsmanship that goes into creating every piece of furniture that leaves our factory, it is very rewarding to our team to see the finished products transforming a diverse array of rooms. For more information on creating your perfect sofa, please contact Russkell Furniture on 01254 773232 or email us at info@russkell.co.uk. Russkell - transforming your home.